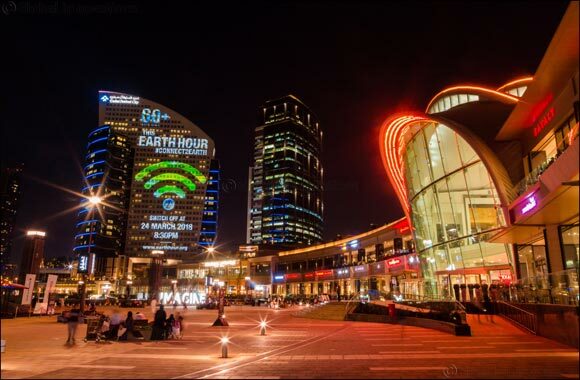 22nd March 2018, Dubai, UAE: Dubai Festival City Mall is proudly supporting the global initiative, Earth Hour. All non-essential exterior and interior lights will be switched off or dimmed throughout the Mall on 24th March at 8.30pm, without compromising the safety and security of shoppers. Join the movement for the benefit of the environment by switching off your lights for one hour. Note: On the 24th March, the Camry Helipad Cinema will start at 9.30pm, showing comedy favourite “All Nighter”. Shoppers can watch the movie for free by simply presenting a receipt from Dubai Festival City Mall.